Usually American Atheists files a lawsuit to have a religious symbol removed from government property. 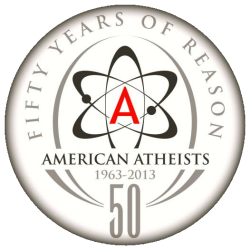 But in a historical first, the resolution of a 1st Amendment lawsuit will include the erection of a monument celebrating atheism on the lawn of a court house in Florida. 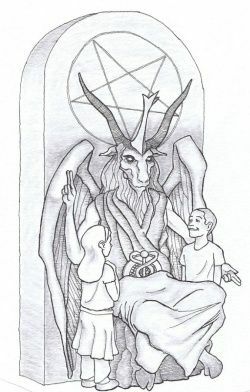 If a public space is really going to be open to all points of view then the atheist monument should appear along side other monuments and symbols for the religions. 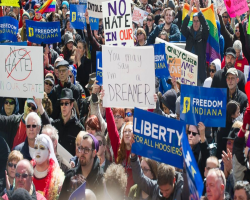 This entry was posted in Courts, Entanglement, Groups, Politics, Positive and tagged 10 Commandments, 1st amendment, American Atheists, Bradford County Florida, court decision on June 1, 2013 by Doug. When will believers get the message. 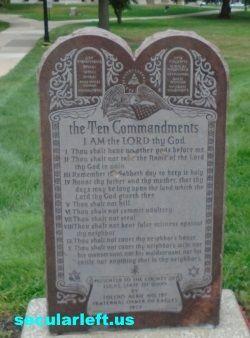 A Ten Commandments monument on or in a court house violates the 1st amendment. 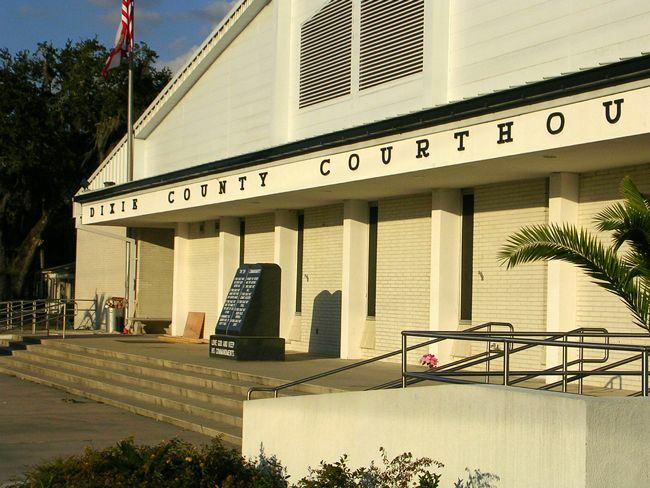 On July 15th a Federal judge reminded us all when he ruled against Dixie County Florida. 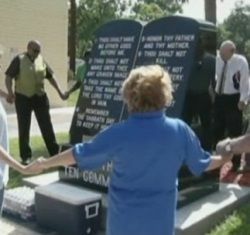 This entry was posted in Courts, Entanglement, Positive and tagged 10 Commandments, 1st amendment, ACLU, church and state, courthouse, Dixie county Florida on July 19, 2011 by Doug.